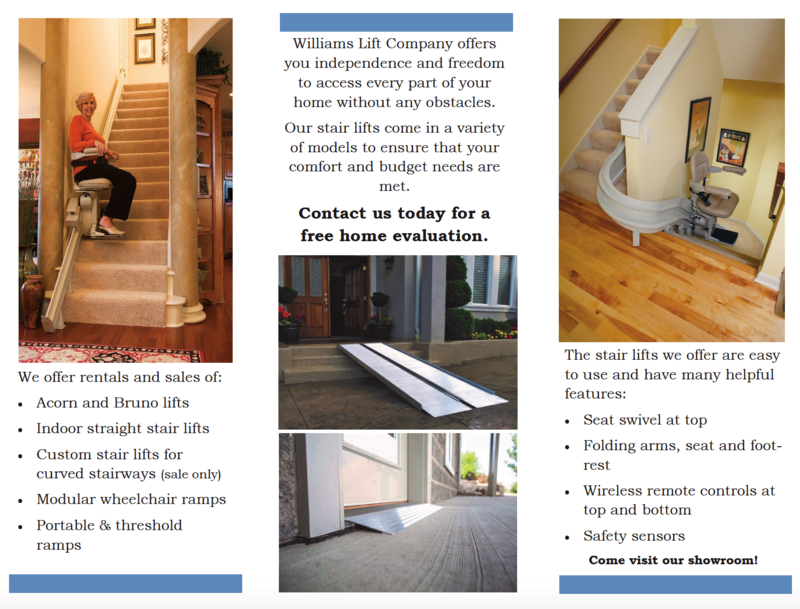 Williams Lift Company is a third generation, family owned and operated provider of Stairlifts and wheelchair ramps, allowing seniors to safely “age in place” in their family home. We have been servicing families in New Jersey since 1947. Our stairlifts and ramps can be purchased or rented. We also offer refurbished stairlifts at a discounted price and a “buyback” program when the stairlift or ramp is no longer needed. Most in-stock stairlifts and ramps can be installed within 24-48 hours. Call us at 800-287-1793 to schedule a free home evaluation.